Completely Remodeled Oak Hill Home! See here for more photos and details! 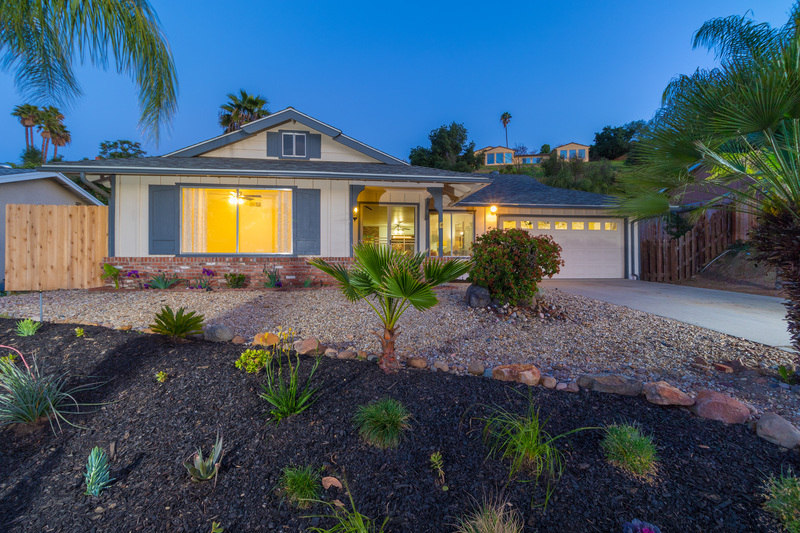 A must see home in the desirable neighborhood of Oak Hill in East Escondido, this completely remodeled single level home with a beautiful drought resistant yard a 2-car garage with ample storage cabinets and a safe. The double door entrance leads you into a gorgeous home with wood laminate floor throughout the living and dining rooms and a completely remodeled kitchen. Recent upgrades include new appliances and white quartz countertops and a pass through window to the backyard, which is the perfect spot for entertaining guests. The home boasts a variety of additional features such as brand new carpet in each bedroom, ceiling fans in every room, fresh paint inside and out and recently upgraded bathrooms. This house has incredible natural light throughout, a great open floor plan, gorgeous brick fireplace, modern paint and fixtures, a huge, easily maintained yard, and washer/dryer hook ups in the garage.